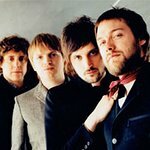 Kasabian, Stereophonics, Keane, and Razorlight have all signed up to perform at this year’s Mencap Little Noise Sessions which take place across eleven days in November. The acoustic shows will take place at Islington’s Union Chapel to raise money for the charity, which works with people who suffer from learning disabilities. Of course, there is always the chance of a big surprise at the Mencap Little Noise concerts. 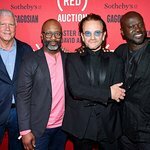 Last year, Bono and The Edge from U2 took to the stage unannounced and played four acoustic songs. DJ Jo Whiley will once again host the event, and tickets are available from the Mencap Music website.